Whether your income increases over time, or stays the same. How often you receive your income. What happens to your annuity after you’re gone. Once your annuity is set up, you can’t normally change your mind. So it’s important you consider your options carefully before you get started. An annuity payment can stay the same, or increase each year. Increases will mean you start with less, but your income will be better protected from inflation. When choosing which option is right for you, you should keep in mind how your spending might change in retirement and how inflation increases prices over time. Your annuity income will stay the same and won’t increase. This could mean the buying power of your income goes down over time because of inflation. For example, the buying power of £1,000 will reduce to just £673 in 20 years if inflation runs at an average of 2% a year. Your starting income will be lower, but it will rise by a fixed percentage each year. This means your income could counter the effects of inflation. In return for a lower starting income, your income will move in line with the Retail Price Index (RPI). This means your income will retain its buying power by tracking inflation. You can choose to receive your annuity income every month, every three months, every six months or once a year. You can also choose when in your chosen period you’ll receive it. You’ll receive your first payment immediately after your annuity is set up. Once your annuity is set up, you’ll receive your payments at the end of your chosen payment period. You could build an option or guarantee into your annuity to pay your pension to your loved ones when you die, potentially tax free. Your annuity income will pay for the rest of your life, but will stop when you die. You choose how much of your annuity income would continue to be paid to your beneficiary (usually your spouse or partner) if you pass away first. For example, it could be 50%, 66% or 100% of your income. The higher the proportion, the lower your annual income will be. Your income is paid for your lifetime, and is also guaranteed to pay for a minimum length of time. If you die within this time, the income will be paid to your estate or your beneficiaries for the rest of the guarantee period. Guarantee periods of up to 30 years are available. The longer guarantee period you choose, the less income you’ll receive initially but it could mean more is paid out overall. 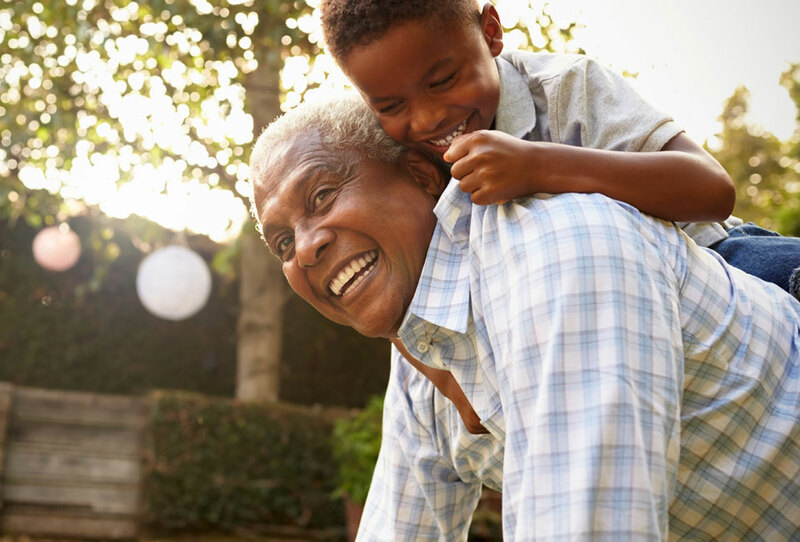 Value protected annuities return the original amount you used to buy the annuity, less any income paid, to your beneficiaries. Your annual income will be lower if you choose this option. But it means that at least all the money you used to buy the annuity will be paid out, no matter what. If you’d like value protected quotes, call us on 0117 980 9940. I decided to use HL’s shopping around service to purchase an annuity with part of my drawdown fund. The idea of having our main outgoings covered by secure income was reassuring. I was able to qualify for an enhanced rate by confirming health and lifestyle details. The income on offer was much higher than I expected. Most importantly, I could mitigate my deepest worry – passing away soon after handing over the money – by building in a 10 year guarantee with a joint life option for my wife. I just wanted to say thank you for the enhanced RPI protected annuity quote received today. Thanks to you making it so easy I am going to receive an annual sum £2,500 greater than the lowest standard quote, and this is entirely down to your team. I remain hugely impressed with the service you provide. Use our online annuity service to compare quotes from the UK’s leading annuity providers. You can choose different options and see what impact they have on your income. And remember, if you add health and lifestyle details you could boost your income. 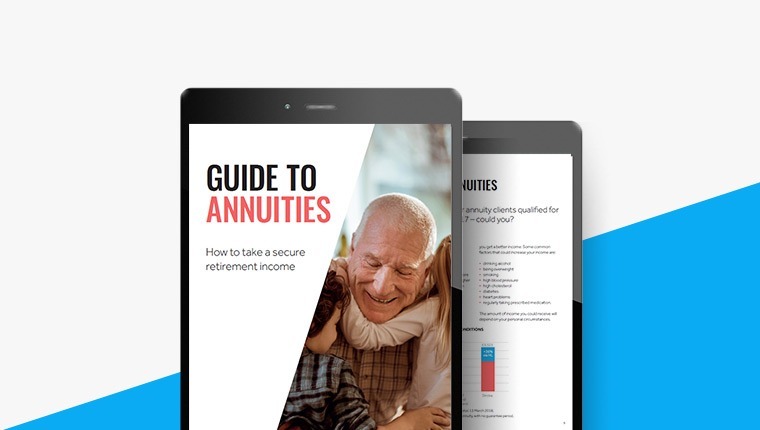 Take your time learning more about annuities with our Guide to annuities.